Is Hiring an Inbound Agency Worth The Investment? Expanding customer base and increasing brand influence are critical for maintaining the success and growth of any company. This means investing in marketing. In today’s world, it really means investing in digital marketing. Digital marketing is an enormous industry made up of many interworking components. You’ve got SEO, social media networking, and email campaigns just to name a few. Each of these areas is important to the overall success of your marketing efforts. Managing each component simultaneously is no easy feat. If you’ve done your homework, you might have noticed the decline of older approaches of ‘interruptive’ marketing. This happened alongside the rise of the all-powerful methods of Inbound Marketing. The digital marketing industry is no exception. Inbound focuses most on the journey each potential customer takes in the buying process. Each interaction with a lead as a critical opportunity to bring them closer to making a well-informed purchase decision. Once you have made the wise choice to invest in inbound marketing as a general approach, you will find there are many different ways to go about it Typically, you will have a few options. You can use an independent marketing contractor, build an internal marketing team, or hire a marketing agency. How do you know which option is best for your company? Many businesses hire independent marketing contractors who specialize in marketing to a specific industry. These contractors are knowledgeable and skilled. If they are among the best, they will provide inbound services with the added value of a very personalized experience. That said, they are still only one person. That means they naturally have a more limited bandwidth than a full team. Well-established companies often have their own marketing departments. If your company has the resources, building an internal department or shifting an existing department’s focus toward inbound methods could be beneficial. Internal marketing teams can provide continuity and long-term growth if the right hires are in place. The team will be able to feed off company culture by being right there in the office. The potential downside is that it will also require you to build up and pay an entire team. You’ll need to take on additional HR resources and invest in the careers of each hire you make. If you end up needing to make a change, it won’t be easy. Stand-alone marketing agencies can work in tandem with an internal marketing department. Otherwise, they can be the sole component of a company’s marketing resources. A good agency will ensure that their clients are equipped with the combined knowledge of a team of experts in their respective subject areas. They won’t be working from scratch, so there will be much less trial and error involved than when building up an internal marketing team. Relying on an agency can also be a relief if you aren’t entirely happy with the results your company is currently seeing. An agency can adjust their strategy or point of contact fairly easily. A flexible agency can save you the stress of terminating an employee or canceling an agreement. The most important thing is for your marketing efforts to provide the most value possible to your company. An inbound agency like Bespoken Management will take the time to understand your company’s needs and provide inbound services with transparency and personal attention. A good inbound agency will spend time learning about your business. They should assess the strengths and weakness of your current marketing efforts and use that knowledge to integrate your company’s passion into your marketing. In the end, the goal is to create a consistent and intentional brand image in every aspect of your web presence. At Bespoken Management, we really do believe that hiring a remarkable inbound marketing agency is worth the investment, and then some. 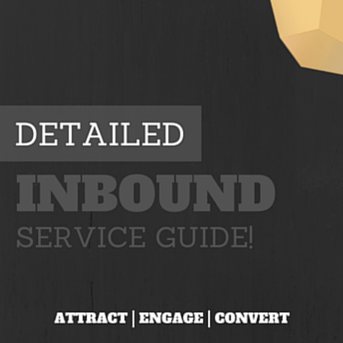 Download our free Inbound Service Guide to learn more!